the sony A100 is a fine camera. Also the comment of ugly photos...there are a lot more people that have loaded galleries over the years with shots from canon and nikon...and the nice galleries are from 'pro' photographers. Get a pro behind an alpha and you will have a good photo...period. I have enjoyed playing with the alpha the past week since I got it. 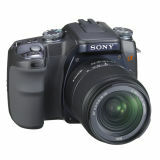 It is my first digital camera. No matter what they say the A100 is just a P&S iso 100-400 camera, look by yourselfhttp://www.pbase.com/csda/image/70003811 totally ugy and unusable photos. 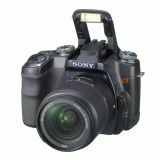 Sony has a good marketing and its selling the camera knowing its unusable at high isos. I needed a 2nd DSLR body, and because I'm a KMD5D user, the Sony Alpha was an obvious choice. Bought the body only, retained all the lenses I used before. The Super Steady Shots seems to work a slight bit better (I think?) than the D5D. However, noise is a bit of a concern. So night shots I still rely more on my D5D. But for day shots, I really appreciate the extended dynamic range of the Alpha-100. Yet to test it out extensively under true working conditions, but here are some shots from an outing recently. This was only my 2nd time using the camera for "real". I've been noticing some very positive, quite glowing, reviews of this new digital SLR camera from Sony - especially an extremely enthusiastic preview from Popular Photography - which is not merely a modest upgrade from the Konica Minolta Maxxum SLRs, that were produced by Minolta for approximately twenty years, until Konica Minolta sold this system to Sony. 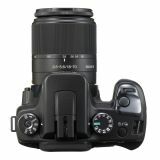 One of the new camera's best features is the option to use image stabilizing for each lens, since it is built into the camera body, instead of on some expensive optics only, as is the case with those from Canon and Nikon (Speaking of which, Minolta had produced lenses of similar high quality for its Maxxum cameras; most, if not all, of these will be revived for the Sony Alpha digital SLR.). Another excellent feature is the better ergonomics, with the camera's control knobs and buttons bigger and easier to handle, than on previous Maxxum cameras. Last, but not least, there is the promise of new superb-quality lenses from Carl Zeiss, manufactured by Sony under strict Zeiss quality control (This is apparently the case with Sony's numerous Cybershot digital cameras, especially with the more expensive models, which include elaborate Zeiss Vario-Tessar and Vario-Sonnar zoom lenses featuring Zeiss T* multicoating. ); the first three lenses in this Zeiss Alpha line should be available to customers by year's end (One of these lenses is a fast, brand-new 135mm f1.8 Sonnar lens.). 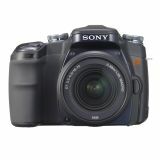 Those interested in a quality digital SLR should consider seriously the Sony Alpha A100K 10.2 MP Digital SLR, with an accompanying 18-70mm f3.5-5.6 Sony Alpha lens which should be useful for many photographic applications from wideangle to telephoto photography.